Home > Opinion > Can Scotland’s Parliament be persuaded to champion Regional Agency? When the Scottish Parliament begins Stage 2 of the consideration of the Planning (Scotland) Bill in mid-September, one of the issues for debate will be the future of strategic planning. The Scottish Government intends that the Bill should remove the statutory requirement to prepare strategic development plans for the four city regions of Glasgow, Edinburgh, Aberdeen and Dundee/Perth. Green MSP Andy Wightman has tabled an amendment to the Bill which would have the effect of retaining that provision. In its evidence to the Local Government and Communities Committee in March, Clydeplan, the strategic development planning authority for the Glasgow city region, made a robust and persuasive case that the statutory provision for strategic planning at the regional level should be retained. 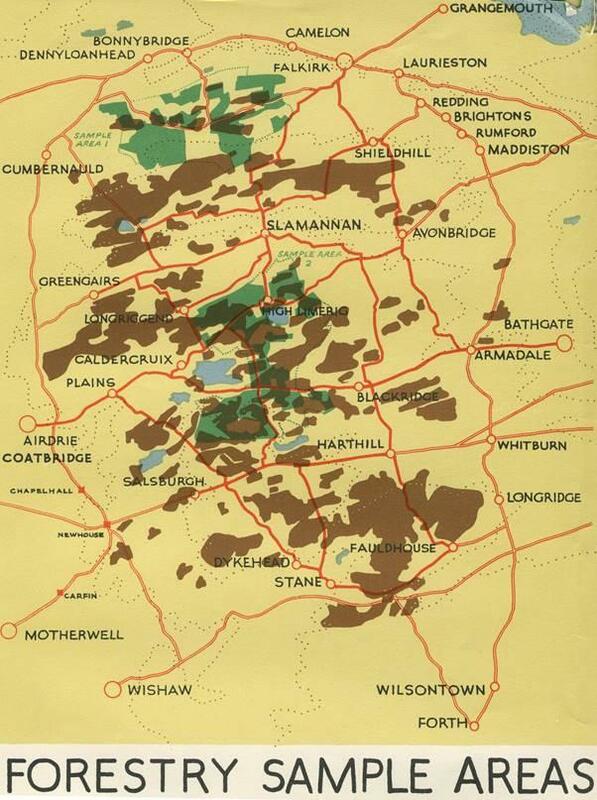 It pointed out that strategic planning had been central to the regeneration of Glasgow and the Clyde Valley through periods of significant structural change over a period of 70 years. Strategic development plans for the area had been an effective component of the planning system, guiding local plans and decision-making, demonstrating the value of joint working and the commitment of constituent local authorities and wider stakeholders over an extended timescale. Clydeplan pointed out that in England a statutory duty to co-operate had not proved to be a sufficiently effective tool for addressing cross-boundary regional issues, while in 2015 the Planning (Wales) Act had introduced strategic development plans for Cardiff, Swansea and the A55 Corridor, based on the model which currently exists in Scotland. To remove strategic development plans in Scotland would run counter to prevailing best practice in planning internationally, particularly in Europe, where there has been a move towards planning at the scale of integrated functional regions reflecting housing markets, travel-to-work and economic catchment areas as part of the drive to deliver sustainable development. Like others who gave evidence to the Committee, Clydeplan expressed concern that the Scottish Government’s intention that the role of local authorities in strategic planning should be reduced to assisting with the preparation on the National Planning Framework would lead to an undesirable level of centralisation, undermining the collaborative partnerships which have been working successfully at the regional level up until now. Clydeplan argued that rather than removing an important mechanism of regional agency, the Scottish Government should be enhancing and building upon existing strategic development plan processes and their established governance and joint-working structures in rolling out a regional partnership model across the country. In its Stage 1 report on the Bill in May, the Local Government and Communities Committee noted significant concerns about the future of regional spatial planning, which it noted had “a long history in Scotland and has attracted interest and commendation from elsewhere.” It concluded that it was not clear from the evidence heard that removing the current provisions for strategic development plans would lead to simplification, to streamlining, to cost savings or to more effective planning at a regional scale. It recommended that the current statutory framework for regional planning should not be repealed unless a more robust mechanism is provided to that currently proposed in the Bill. In its response to the Local Government and Communities Committee, the Scottish Government doubled down on its determination to remove the statutory underpinning of strategic planning at the regional scale. Rather than setting out its case for centralising strategic planning at the national level, the Government fell back on the argument that what it proposes is in line with the recommendations of the independent review panel established in 2015, and reiterated its assertion that the change is required to simplify and streamline the system. Little was offered in terms of the more robust mechanism the Committee was looking for. The Government simply undertook to amend the Bill at Stage 2 to introduce a clearer duty for local authorities to work together in strategic planning, something which, as Clydeplan has already pointed out, has not worked particularly well in England. In an article published in Bella Caledonia in March 2017, I outlined the regional planning tradition established under the wartime administration of Tom Johnston and how it had evolved over the subsequent 70 years. The Scottish Government states that it respects the long history of regional spatial planning in Scotland, but argues that the context has changed dramatically since regional plans emerged in the post-war period and even in the period since the 2006 Act. It neither explains in what way the context has changed, nor why that change renders strategic development plans obsolete. As recently as 2014, the Scottish Government accepted the findings of a review of the strategic development plan system by Kevin Murray Associates which concluded that “the system is still bedding in, it is not broken, nor is its potential yet fully optimised.” It is not clear what has caused it to have such a dramatic change of mind. A number of developers called for the abolition of strategic planning in their submissions to the independent review panel, but the sector was not unanimous on the matter and there was no broad groundswell of support for the change. The case which the independent review panel made for the abolition of regional development plans was scant and far from persuasive. It acknowledged that the city-region remains a critical scale for planning, but argued that the role of planners at the regional level should be confined to the co-ordination of development with infrastructure delivery in accordance with the strategy set out in the Scottish Government’s National Planning Framework. No rationale was offered for the incorporation of regional strategy into a document with a national focus prepared under the direction of Scottish Ministers. The centralisation and loss of regional agency involved were simply not addressed. There is a suspicion that the Scottish Government’s desire to do away with strategic development plans stems from its preference for mediating its relationships with local authorities on development matters through City Region Deals, untrammelled by the discipline of strategy. The process of preparing strategic development plans is subject to statutory requirements in relation to public consultation, environmental assessment and examination. The process of City Region deal-making is much less transparent and less open to scrutiny. SNP politicians appear only recently to have become concerned about the opportunities it might afford for pork-barrelling. A range of civic and professional organisations have expressed concern about the Scottish Government’s intention to remove the statutory requirement to prepare strategic development plans and the Government seems disinclined to provide the robust alternative which the Local Government and Communities Committee is looking for. It is to be hoped that safeguarding the regional agency which has contributed so positively to Scotland’s development over the last 70 years is a cause which can command a majority in our Parliament. Graeme Purves was an Assistant Chief Planner with the Scottish Government between 2006 and 2013. He led the teams which prepared Scotland’s first and second National Planning Frameworks and liaised with planning authorities in West Central Scotland and the structure plan team for Glasgow and the Clyde Valley over a period of fifteen years. I have never really got my head around the planning system. We certainly need more strategic planning capacity across rural Scotland – which never really had strategic planning authorities? The regional transport partnerships need sorted out and strengthened. We need a mechanism for integration of infrastructure and rural land uses that fall outside the development planning system – agriculture and forestry. My gut feeling is that the Scottish Government is very keen to make Scotland a “great wee place to do business”. This ambition seems to involve Holyrood dealing directly with the “big shots” ( like Trump?) to make deals on behalf of the rest of us. Us, who are too parochial in our outlook to understand the great rewards that could flow from the carving up of our country. I’ve seen many situations recently where local authorities have refused planning permission ( in accordance with the wishes of local people) only have the decision reversed by Holyrood in favour of the developer. So annoying these locals with their petty concerns about parks, play areas, green space and common good land. Better to bypass them entirely. I’d favour more powerful, local town-hall democracy, more locally raised and spent taxes and more local planning priority setting. The local planning can still take place in the framework of region and country sized priorities on matters of national interest. The SNP are, in my opinion far too centralising in their ambition. To an extent I can understand this from a government that is trying to make great constitutional change in the face of a powerful established hegemony. However, I believe that if we had genuinely powerful, very local democracy our communities would become, over time, more independently minded, more resilient and feel more secure. Running the entire country for ourselves would seem like no big deal once we’d had a bit of practice at running our boroughs. I found this article very worrying. We have to keep Planning matters local. Communities need to be consulted and democracy is too important to be meddled with in this way. I simply cannot understand what the SNP is playing at by pushing policies like this.